It’s no secret that growing flowers, herbs, fruit and vegetables requires a lot of heat. 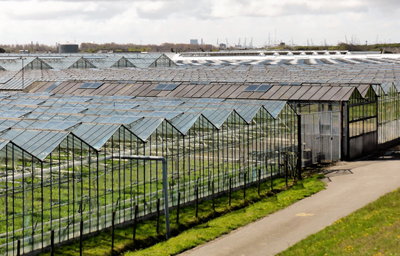 Expansive glasshouse buildings often take up plenty of land in a typically rural location – off gas. Heating is expensive and this is where biomass heating comes in. Our biomass boiler heating systems make sense both financially and environmentally - not only is wood chip fuel far cheaper than fossil fuel, it is renewable too. No nasty fossil fuel emissions, cleaner air and an abundance of fuel from a local source: it just makes sense. Biomass heating also provides hot water which is great for warm water provision and washing down after crop cycles which is exactly what Bell Brothers Nurseries have been using their 2MW industrial scale boiler for over the past six years. What’s more we have plenty of experience in installing these into existing pipe systems and for new glasshouses, in combination with CHP and gas backup.